Only yesterday, it seems, mackerel was the fish to gulp down without a twinge of guilt, good both for your pump and for the planet. Doctors recommended its oily flesh, rich in omega-3, to ward off heart disease. Environmentalists and celebrity chefs trumpeted its eco-friendliness. Hugh Fearnley-Whittingstall launched a campaign in 2010 to persuade people to switch to it from overfished cod. The sustainable superfood was also cheap and tasty – and made up Scotland’s most valuable catch. What was there not to like? Today, its sustainable image, at least, lies shattered, and its £205 million annual value to British fishermen is in jeopardy. The Marine Conservation Society has taken the species off its ethical “fish to eat” list because the catch is now “far in excess of what has been scientifically recommended”. And Fearnley-Whittingstall, while insisting that the supply had been robust enough to support his campaign, called the fish’s plight “a farce rapidly becoming a tragedy”. In other words, north-east Atlantic mackerel fishery has now joined the three quarters of worldwide stocks that are either declining or being fished beyond a sustainable level. In European waters, blighted by the disastrous Common Fisheries Policy, the toll is even worse, with more than 80 per cent of fisheries over-exploited. In fact, the crisis has long been brewing – and, in retrospect, fisheries campaigners seem to have been over-sanguine. It began more than four years ago, when Iceland started increasing its landings of the fish, unilaterally upping its quota from 2,000 tonnes in 2008 to! 146,000 tonnes last year. The Faroe Islands followed suit, raising their own quota sixfold to 150,000 tons. 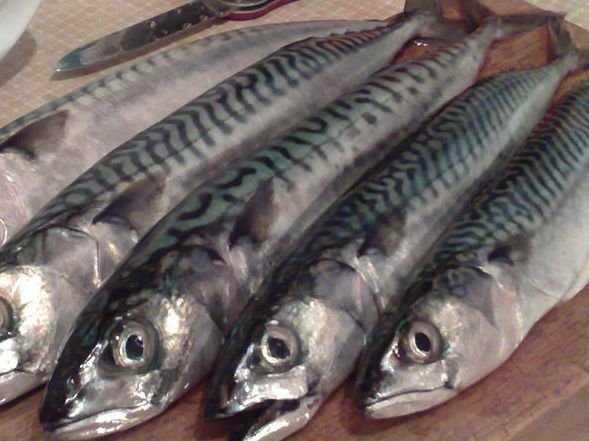 They did so because for some reason (climate change has been blamed) mackerel have been moving northwards. There are now plenty of them in those warming waters, so the locals insist they have every right to harvest them. The trouble is that when the vastly increased Icelandic and Faroese takes are added to what other countries are legally catching, some 900,000 tonnes of mackerel are being landed a year from a fishery that can only stand to yield 500,000 tonnes. That cannot go on for long without disaster – there is an awful precedent in the North Sea, where the fishery which yielded a one million ton take in the Sixties has since shrunk by 99 per cent – and Britain, which holds more than half the EU quota, stands to suffer most. Negotiations have so far failed, and, in the absence of agreement, the EU and Norway last week cut their quotas by 15 per cent to try to relieve the pressure. And two weeks ago, Richard Benyon, the fisheries minister, told Parliament that EU trade sanctions against Iceland and the Faroes were now “on the table”. These could be in operation by the summer, when new quotas are due to be set, directed at imports of mackerel and fishmeal to feed farmed salmon. But – as the former Daily Telegraph writer turned fisheries campaigner, Charles Clover, points out – a “mackerel war” might backfire, since much of the Icelandic and Faroese catch is landed, and processed, in Britain. Last March the Marine Stewardship Council, which certifies fisheries, suspended its seal of approval for north-east Atlantic mackerel, and later last year Sainsbury’s, Marks & Spencer and the Co-op all boycotted it. So its downgrading on the “fish to eat” list – the Marine Conservation Society says it should now be only consumed “occasionally” – has long been on its way. The saga is just ! one epis ode in an astonishing depletion of the once-rich fisheries around our shores. Prof Callum Roberts, of the University of York, has calculated that as late as 1889 British waters held up to 15 times as many cod, haddock and halibut as today. The devastation long preceded the Common Fisheries Policy, but it has made things worse: more than two thirds of the quotas it set over the past 25 years have exceeded official scientific advice. A minister once told me that the meetings in Brussels were like “Buffalo Bill and Wyatt Earp arguing over who should shoot the last buffalo”. To its credit, the Government, led by Mr Benyon, has tried to change this. Largely because of its pressure, serious reform seems finally to be under way, with EU ministers and a European parliamentary committee last year agreeing to ban the grossly wasteful practice of “discarding”, dead or dying, nearly one in every 10 fish caught, while the MEPs also voted to stop the setting of quotas above scientific recommendations. But there is still a long way to go. In the meantime the Marine Conservation Society suggests eating herring and sardine instead of mackerel; it also gives the green light to whiting from the Celtic Sea, coley from the North Sea and Dover sole from the English Channel.